The World We Create: Now That Autism Awareness Month is Over, I will talk about Autism and Dyspraxia. Valued but in Need of Support. Now That Autism Awareness Month is Over, I will talk about Autism and Dyspraxia. Valued but in Need of Support. It's May. 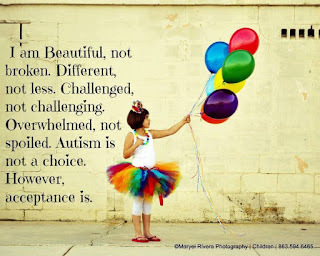 Autism Awareness month is over and now I will blog about being Autistic for a moment. I have a tough time with A.A month. It is pretty much everything Autistics don't want it to be. I feel THIS brief post by another Aspie explains this thought more. She quickly covers the main reasons why inclusion and awareness are failing and how our world is still perpetuating harmful myths and facts. But then she says; "Meanwhile, autistic people are living, loving, laughing, thinking, creating, caring, acting, performing, helping, supporting, advising, campaigning, sharing, uplifting, amplifying, celebrating, commiserating, learning, working, teaching, making, saving, rescuing, mentoring, encouraging, inventing, designing, innovating, suffering, shouting, crying. Speaking. And all the other things that humans do. We’re here. It’s time to accept us, and appreciate us as a part of the world we, and you, all live in together." I used to have a blog dedicated to all things Autistic. It was a needed phase in my acceptance and diagnostic journey. Now, I feel I am in a different stage. I feel that my words and life show what an Autistic's "normal" looks like to ONE person. And I don't have to mention it much anymore, until an issue comes up I can't ignore or I suddenly get a desire to talk about being Autistic specifically. I feel autism is an organic part of who I am. Sometimes I fight for acceptance. Most times I quietly create it. Neither is better. Both are valid. 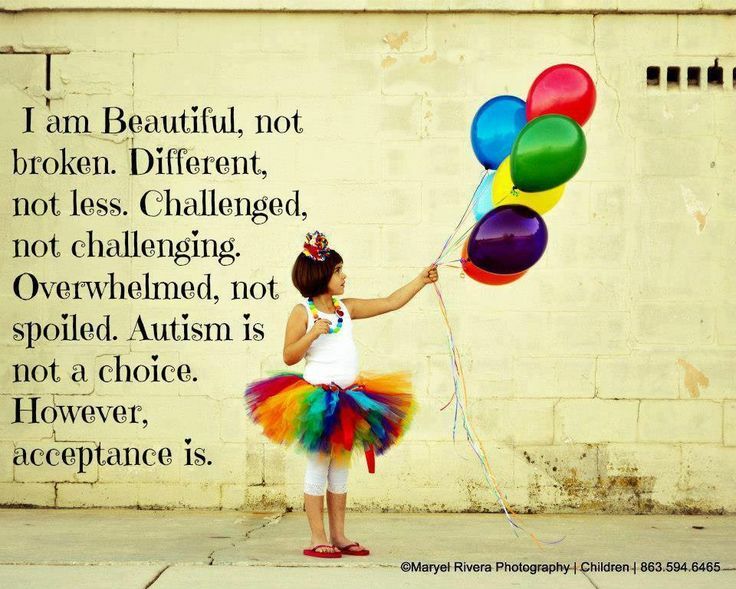 I love blogs dedicated solely to Autism. I glean from them regularly and believe they are a needed place in this world, where stories from actual Aspies/ Autistics are often silenced. One of the biggest issues I run into, is people assuming my process is like theirs. Because I look "normal" and act somewhat "appropriately" it is assumed I process the situation the same. That maybe my sensory overload is not all that bad. Or I can "stretch myself" beyond what I say I can. This also applies in the world of perspective. Even people who have known me for years, have the tendency to forget that I do not work they way they do. They forget that just because I process verbally does not mean that I expect them to see the world the way I do. Or that just because I sound, in a statement, like I am making a judgment, that I actually am expecting them to "take my side." I don't work the way most people do. Even my husband sometimes forgets this for a second until he is reminded again of how odd I can be. Recently he stated, "You know, most people in the world, if they talk about people at all (which is a natural process), have this expectation for others to back talk, take up their mantle or give pressure to induce a negative emotional response to someone they are upset at. They like their tribe to support them by disliking the person who has hurt or abused them. You are not like that. You can absolutely dislike someone but still be ok with your friends being their friends. You can stand in the same room with someone you door slammed and be polite, civil and cause no disruption to the rest of the relationships unless the other person instigates. People get upset sometimes when you verbally process because they assume you are having the same motivations as most people. When you just verbally process to figure things out. Because you are an external feeler and also have a social disability, you need more information in some areas before you use your intuition to guide you. You are about knowledge seeking to find the overall picture and understand the people involved. Even your considered "enemies." Where as most other people seek information to destroy or get people to "their side." Of course you have valid anger and emotions but your neutrality when it comes to perspectives IS unusual." Yes, we are still part of this human race even if we are different. Our humanity should be remembered even if we are often likened (and sometimes feel) like we are part of an alien species. We still have the souls, hearts and anatomy of humanity. I have mentioned before HERE how Physiotherapy has helped my life as a chronic pain sufferer. But there is another side to Physio. Half of the time, my reasons for coming in, are because I injured myself. Doing "normal" activities like getting out of a vehicle, walking on the treadmill, lifting my nephew, or completing chores can have terrible affects. The worst one in my books is doing Physio exercises completely wrong and having to go back to Physio for heat packs and massage healing. I have written about the struggles of being an adult with Dyspraxia HERE. I have mostly adapted to a life with my level of severity. I would say out of all my nuances, Dyspraxia is where I am the most severely impaired compared to most on the scale. It affects me every day in obvious ways that I try to work around. My independence is drastically cut down by being Dyspraxic. I can't judge pressure well and my body awareness is lacking. Recently, I spent nights in the shower in agony because the pain woke me up at 2 am due to an exercise gone wrong. Finally I called in and my therapist told me to walk backwards on the treadmill and also to use heat on any affected areas. When she did her assessment, she told me I pulled my hip flexor. It went into protective mode which means pain upon certain movements. I thought at one point that either my ovary had a large cyst or my bowel was acting up. See, I am not good at body perception. I also pulled out my Quad and Hamstrings. I had muscle fibre lumps that tightened deep into the leg. I thought maybe it was a blood clot. I am always astounded at how much of my pain is often muscular when it feels organ related. Often my muscles are associated with weird nerve paths that are typical of those with diseases like Fibromyalgia or Lyme ect. It turns out I was also walking backwards wrong. I was kind of marching in place instead of sliding my leg fully back which was triggering my already inflamed hip flexor. Le sigh. I am one of the only patients who is not discharged after a few months of rehabilitation. She went to the board and asked to keep me on as a casual patient who can call in any time due to my pain conditions and my lack of body awareness. They made a "special" exception to my case, upon review. I can call in whenever I injure myself without having to register again. My poor Therapist. Just when she thinks we are making progress, I come in telling her I can not do a certain exercise. I try to do it in such a way that she still feels she is helping me. I want her to feel empowered and inspiring because otherwise my support could be taken away. Inclusion can not be about "being the same." The main goal should not be focusing only on what is similar for people. While that is hugely important, it is missing a key piece. Anyone who is born as a minority does experience the world differently. They WILL need different treatment, circumstances and support. This is crucially important to their health and being. Do they also need people to see their similar humanity? You bet. But that should be included in basic respect. Everyone deserves to be equal in respect and love. Yet, within a life, there should be a different treatment of a person who has different needs. In these circumstances, one size fits all will not work. We need people to be open to possibilities and perspectives. Just because a person requires more in one area and maybe less in another does not mean they are "taking too much" or a "societal burden." I believe I give a lot to the world. But I also take what I need when I can too. And this is why I can give. I am heavily supported. When I am not, I find other ways. It has not been easy to build my support. I still sometimes run into obstacles that make me feel six years old. I regularly have encounters that induce self doubt. On the rare occasion I will be found crying in my closet (my ultimate meltdown mode.) I need people like my Physiotherapist. She stems her frustration when she sees me again or I "failed" one of her easy tasks. It is just a fact that I will regularly hurt myself in daily activities. Sometimes it's laughable. Sometimes it's depressing. Luckily, she sees I try. I bring her little gifts and make her laugh. Because I know a regular support is rare in our society that wants to "get em in, and get em out." Especially in the medical world. I know I have a responsibility for her to see how she is doing something large in my life. I AM different. Sometimes that is stunningly, shockingly clear, even when I already know this fact. I feel slapped by my abnormality at times. Then, for quite awhile, I can feel almost normal. I go about my day under the allusion that maybe I am NOT that different. Maybe I am just quirky? End of story? Ha. Regardless, I am never under the impression that I am more because of my conditions, nor am I less. I am valued within my own structures and with a few of my people. I provide value too. Yet, on the other side of the bread, I am in need of "more" support than a typical person walking through life. This is what inclusion truly is. Allowing a person to be part of humanity the way THEY CAN. Maybe pushing occasionally to meet "normal milestones" or to help them fit in so life is a little easier. But also allowing them to set their own limits and help them find a way to adapt to life in the world in the ways they feel the most comfortable. We have one precious life, and we should be allowed to minimize painful sensory onslaught or avoid the situations that are terrifying to us but nothing to others. We should be able to find work or a way of living that honours our soul in the ways we can give. It is about meeting us where we are at. Yes, growth is a part of any existence but natural growth is far different from forced. However you are in the world, you will find your existence easier by being honest with yourself. Seeing your strengths as value and your weaknesses with acceptance. To know thyself is one of the quickest ways to live a life of content. Do bad things still happen? You bet. But the overall feeling of this type of life is peaceful because you know your value. And you LIVE it. We need you to back us up. Anyway. Just thought I would pass it along as you are the only adult I know that walks in the shoes my boys will walk. I really value your view and opinions on how to best raise and teach and speak about and to the boys.